Seniors who require help from time to time but wish to maintain their independence are good candidates for assisted living. Carrington Court's Assisted Living community is designed for seniors who require assistance in some aspects of daily living. This assistance can include help with mobility, transportation, medication administration, personal grooming and hygiene, incontinence management and more. Carrington Court offers care plans designed to suit the specific needs of each resident. Seniors who have memory impairments, dementia, or Alzheimer's disease are great candidates for memory care. Carrington Court's Memory Care Community is designed to support seniors suffering from Alzheimer's Disease or other memory disorders. While safety and security are the primary concern, care plans are also customized to the individuals' needs and the family's wishes. Resources such as Alzheimer's support groups are often available to assist loved ones. 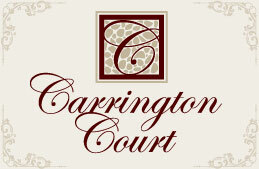 Carrington Court - The Better Choice.